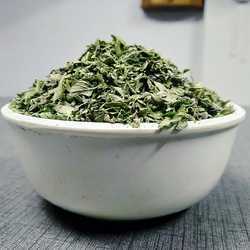 Our enterprise is offering an optimum quality 10g Oregano Leave in the market. Offered product is processed under the direction of experts. As we believe in client's supremacy, we decide the acceptable payment methods at the time of undertaking the agreement/contract. Moreover, our payment processing methods are secured. The offered lot is in complete compliance with the industry standards thus, high in demand. 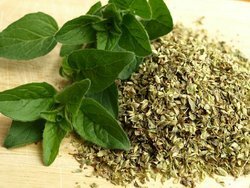 Oregano or Mexican Sage or Origanum vulgare commonly known as Sathra, Mirzanjosh in India. It has a pungent smell and taste.The leaves can either be used fresh or dried.Especially it is used in Pizzas. Beside this it is used in salads, soups, pasta sauces, and poultry dishes. We Are Merchandise Exporter, Supplier, traders Distributor, of spices, and seasonings, Dried Mixed Herbs.Oregano.